What are the best police games? We have all considered life as a cop, super sleuth, or detective, for a brief moment. Whether drawn in by the position of authority, the puzzling case work, or even the hard drinking: police games deliver plenty of action and intrigue. However, cop games are not all about John Woo-esque shootouts and high-speed car chases, and in fact, the best police games often see you digging through crime scenes for evidence and carrying out routine procedures rather than pursuing perps, gun drawn. To help you find the right police games for you, we have assembled a list that encompasses every aspect of the job, from hard-boiled detective games, to cop simulations that immerse you in life on the beat – not to mention a sprinkling of unconventional picks to keep things interesting. We come back to our lists often to add new games and ensure you’re getting the very best cop games around. One of the rare police games that focuses on the resource management side of the job, This Is the Police casts you as jaded police chief Jack Boyd, under pressure from the mob and desperately trying to amass enough money to retire on with barely six months to do so. You will need to manage your staff, respond to emergencies, manage investigations, and work closely with the mob, using your instincts to judge the severity of each situation and decide which officers to send out. 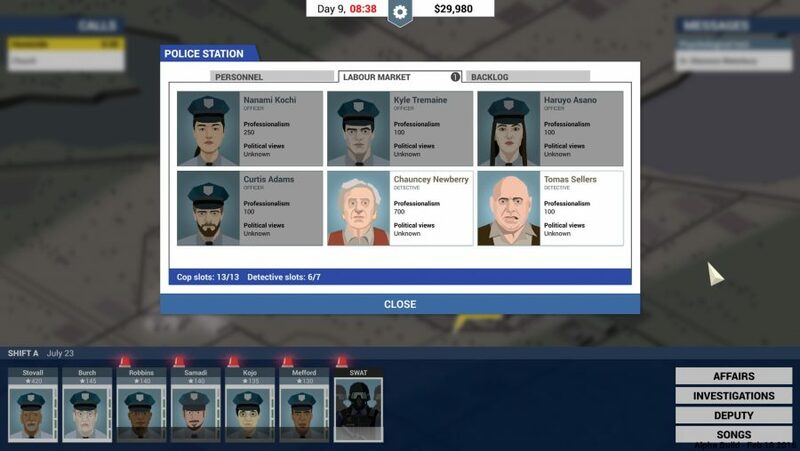 What makes This Is the Police one of the best police games on PC is how well it captures the uncertainty and risk of police work. Sending a couple of officers out to deal with a ranting lunatic seems like an appropriate response, until the suspect pulls a gun, downing several bystanders not to mention one of Freeburg’s finest. There is also a distinct lack of control: there is no way to save the cesspit of a city; no way to derail the mob pulling the strings; no way to stand by your morals without sacrificing yourself in the process. This Is the Police embraces the gritty misery of noir fiction, right down to the collection of jazz records you get to leaf through at the start of each shift. Remember when you were five and a game called Cops and Robbers was all the rage? Battlefield Hardline is what happens when a triple-A studio take that humble concept and run with it: a TV action-drama in its single-player campaign and a bonkers, Michael Bay-inspired blockbuster in its multiplayer. As we said in our Battlefield Hardline review, it’s Fast and Furious comes to FPS land. As police games go, you are hard-pushed to find another one as explosive as this. Nevermind the cop cars and tasers, Hardline is still a Battlefield game, collapsing buildings, LMGs, exploding choppers, and all. An increased emphasis on vehicles pushes the pace of Hardline’s multiplayer well beyond the series’ par, with modes like Hotwire – which shifts the traditional Conquest flags to drivable cars – rewarding speed and aggression over tactical play. Its driving model might be basic, but Battlefield Hardline can rival the best racing games for how good it feels to be behind the wheel of one its muscle cars or coupés. Its campaign, despite plenty of predictable narrative beats and some hilarious AI goofs, is among the best of the series. You play as Officer Nick Mendoza, a detective embroiled in a Miami drug war. Each mission sees you take on increasingly unofficial tasks, and whether you opt to brandish your badge and arrest perps rather than gun them down determines what kind of officer you become over the course of Hardline’s ten missions. 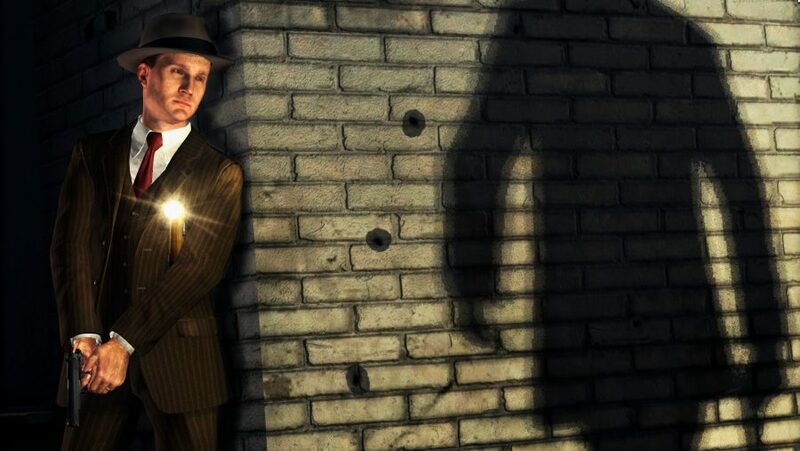 Few police games manage to deliver on the fantasy of being a detective quite like L.A. Noire. 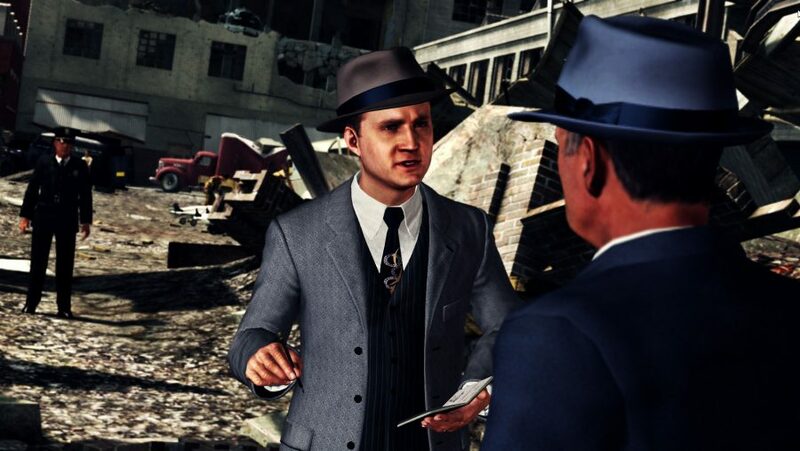 You play as Cole Phelps, a patrol officer turned detective who is working his way up through the ranks of the LAPD by investigating crime scenes, questioning suspects, and battling against the seedy underbelly of golden age Hollywood. Unlike most police games, L.A. Noire is all about diligently combing through crime scenes and following up leads, which makes the rare shootouts and chase sequences all the more thrilling. Mostly, then, you are tasked with studiously analysing evidence and questioning suspects and witnesses, reading their expressions to ascertain whether or not they are telling you the truth. But L.A Noire is a war game, too. Every character, including Phelps, carries the weight of the war years around their neck and beyond the open-top sports cars and opulent art deco facades you will find a city whose inhabitants are still reeling from the depravity of that conflict. Better still, Rockstar Games have adapted a few cases from the game to form L.A. Noire: The VR Case Files – because the only things better than police games, are VR police games. What The Silver Case lacks in actual detective and police work it more than makes up for with audiovisual zeal and an absorbing, techno-thriller narrative. Set in 1999, in a fictional Japanese city called the 24 Districts, you take control of a mute protagonist from a special forces unit called The Republic as you help the city’s Heinous Crimes Unit solve a string of murders that bear all the hallmarks of infamous serial killer Kamui Uehara. Just one thing: Kamui has been incarcerated for nearly 20 years. You can also play a second campaign that follows the same events from the perspective of a journalist. 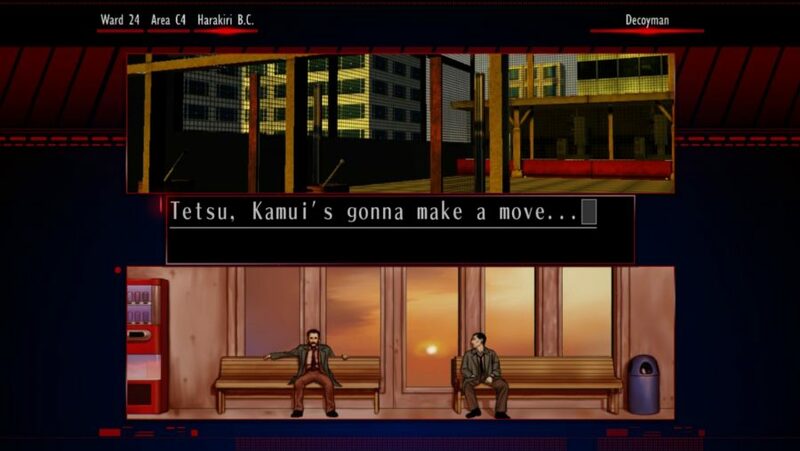 Tapping into Japanese folklore and late ‘80s paranoia over the isolating effects of the internet, police games scarcely conjure up as much intrigue and mystery as The Silver Case. More impressive still is how The Silver Case manages to create such a rich sense of atmosphere while being astonishingly light on gameplay, closer to a visual novel than its first-person exploration scenes suggest. Looking for some police games that you can play around Halloween? Murdered: Soul Suspect is a good shout, proffering a bizarre twist to the usual detective scenario by having you play as a disembodied ghost attempting to solve your own murder. Yep, Murdered: Soul Suspect kicks off with you, maverick detective Ronan O’Connor, dying at the hands of a notorious local serial killer, leaving you trapped in limbo until you are able to bring your killer to justice. On the plus side, being dead grants you a bevy of supernatural detecting abilities that makes this one of the most empowering police games around: access out-of-reach areas by possessing and controlling black cats; eavesdrop on private conversations; influence someone’s thoughts; and follow leads through solid walls. 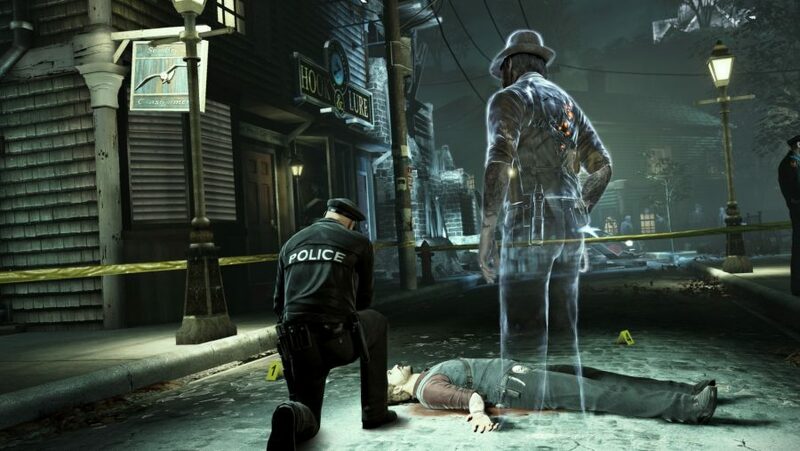 Murdered: Soul Suspect is rarely challenging when it comes to piecing evidence together and uncovering leads, but exploring the historic town of Salem, seeing its spectral landmarks, and helping the many ghosts wandering its streets is a constant joy. Did we mention you can possess cats? It might be over a decade old but SWAT 4 is still among the most realistic and atmospheric police games around. 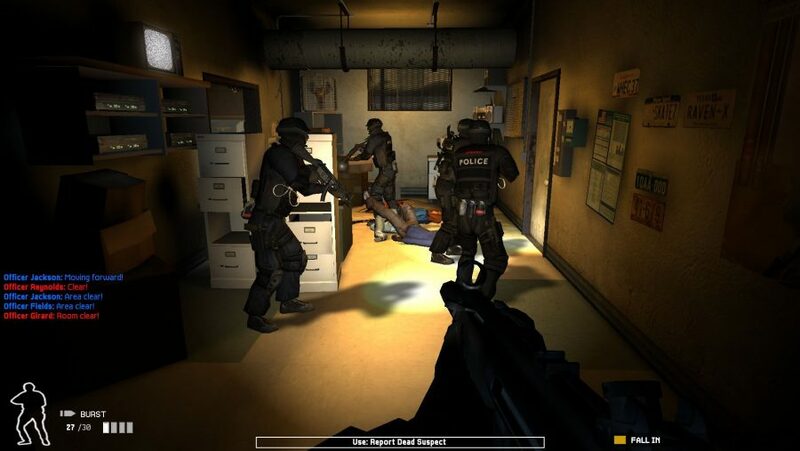 Simulating real-world police procedures, SWAT 4 casts you as the leader of a five-man team as you subdue armed targets and rescue hostages across 21 missions. It’s on par with the best PC simulation games for its attention to detail and realistic mechanics. 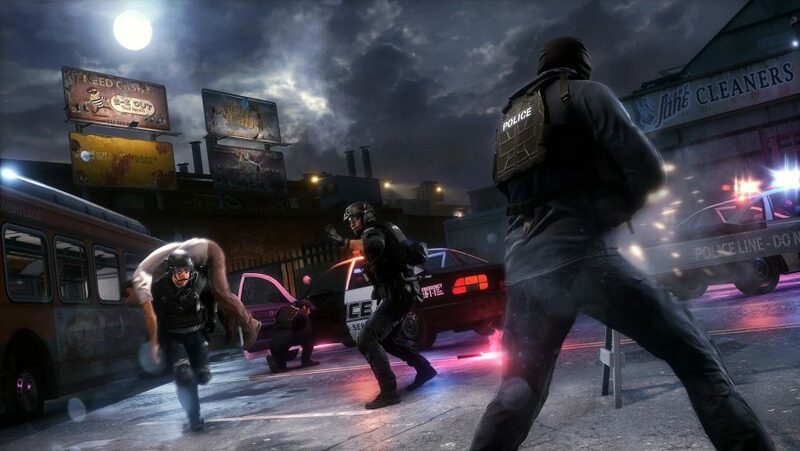 While you have access to an arsenal of submachine guns, assault rifles, and shotguns, SWAT 4 remains rigidly attached to realistic police protocol, punishing you for unauthorised use of force, incurring hostage injuries, and losing officers. Instead, you will use beanbag shotguns, tasers, and pepperball guns to pressure enemies into surrendering before cuffing them. This emphasis on the pressures of upholding the law also make SWAT 4 an illuminating experience at times, as you question whether to give suspects fair warning before opening fire, knowing that announcing your whereabouts gives the enemy a huge advantage. Unlike the Rainbow Six series, SWAT 4 treats lethal force with its due respect: death is swift and even the lives of criminals are valued. You are not an elite killing machine, armed to the teeth with deadly weapons, and if you play SWAT 4 with that mentality then you will not make it very far. If you’re hoping for a modern tactical FPS then Ready or Not is a SWAT spiritual successor that’s development is worth following. Playing a police game as the greatest detective in the world, Sherlock Holmes, is a bit like using cheat codes. But while gathering evidence is a breeze for the eagle-eyed and resourceful Holmes, drawing conclusions and choosing which suspect to condemn to death is always a challenge. 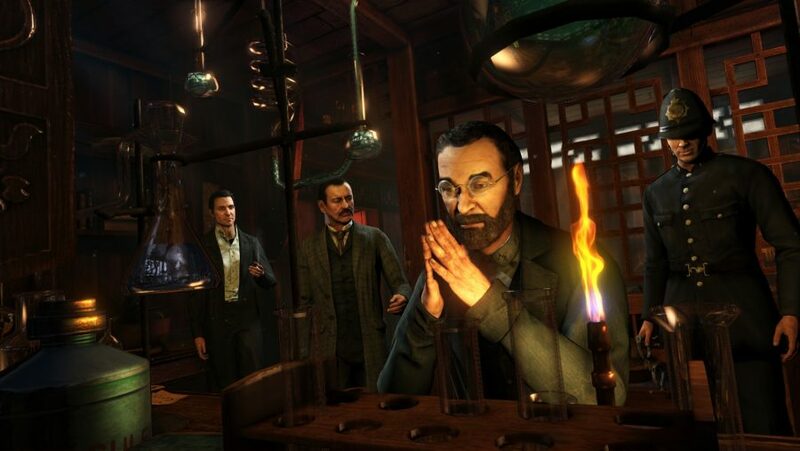 Unlike other police games, Sherlock Holmes focuses on the humanity of its suspects: you profile everyone you meet, draw conclusions about their lives and possible motives, and then decide which of them is guilty, and whether they should hang or be helped into exile. You will spend more time hunting down opportunists and innocents caught in the crossfire than dastardly crooks and fiendish murderers. Like the best adventure games, Sherlock Holmes: Crimes and Punishments also boasts a diverse set of cases, ranging from whodunnits adapted from Conan Doyle’s novels to vanishing trains and bungled burglaries. Every case and set of suspects are distinct, ensuring repeated processes like interviewing suspects, searching for clues, and conducting experiments always feel fresh. Sleeping Dogs is one of those police games in which you shoot first and ask questions later. Playing as undercover cop Wei Shen, danger is everywhere: the Sun On Yee triad you are bringing down from the inside, their Jade Gang rivals, and even the city’s police. Fortunately, then, Wei Shen is a very talented protagonist, excelling at shooting, high-speed car chases, shooting from a moving vehicle, parkour, martial arts, and grating bad guy faces with air conditioner units. Police games rarely let you be the bad guy, but you have to get your hands dirty if you want to rise through the ranks of the Sun On Yee. Over the course of Sleeping Dogs’ hefty main story, you desperately struggle to straddle the line between good and evil, and the moments when Wei Shen falls either side of that line provide the narrative with equal measure of heart and tension. 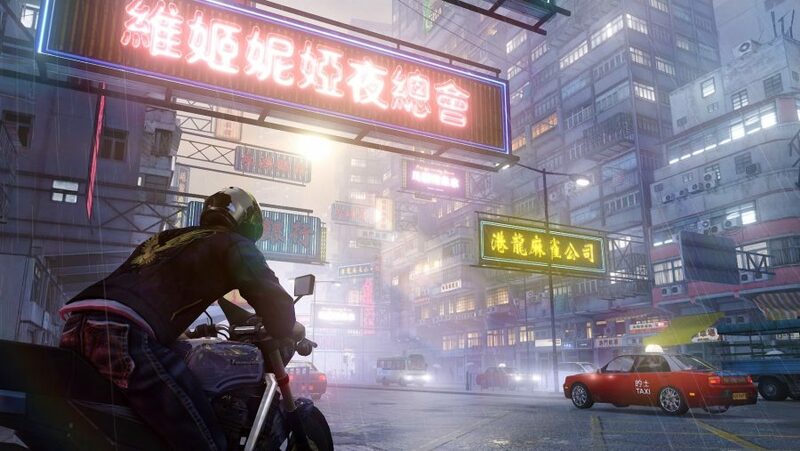 The open-world snapshot of Hong Kong is the real highlight of Sleeping Dogs thanks to details like a blend of English and Cantonese spoken by its denizens, traffic-laden streets, a rich ambient soundscape, and the most charming street vendors in gaming. The city feels lived-in and is brimming with activity – this is much more than a collection of landmarks and stereotypes. Sadly, this open-world gem is yet to receive the sequel treatment, but a Sleeping Dogs movie is in the works. 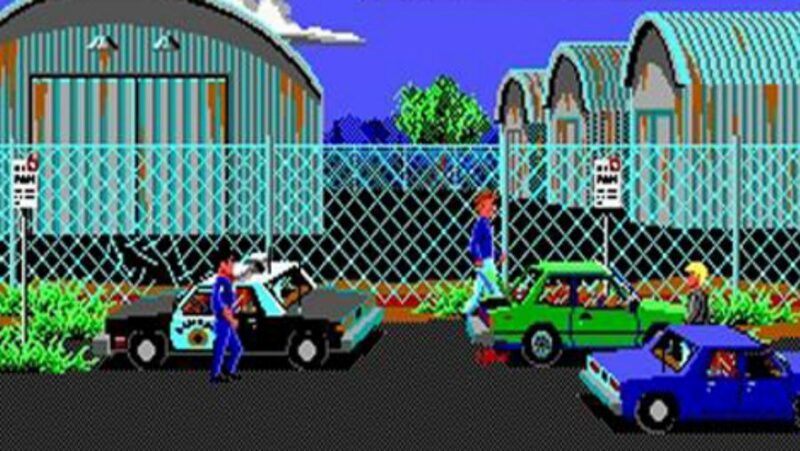 One of the most realistic police games of all time is also the one of the first police games ever released. Sierra Entertainment’s 1987 adventure game is so faithful to proper police protocol that is was even used to train rookie officers. There are no traditional puzzles in Police Quest, no convoluted conspiracies or sprawling shootouts, instead you spend the majority of your time securing crime scenes, handing out speeding tickets, and arresting drunks. That realism can make In Pursuit of the Death Angel a little dry, but if you really do want a simulation of police work then the original Police Quest series, and In Pursuit of the Death Angel in particular, will not leave you wanting. Right, now we’ve concluded our list of the best police games, we must advise you that you do not have to say anything, but it may harm your defence if you do not mention when questioned something which you may later rely on in court. Anything you do say… wait, this isn’t the conclusion script that we were looking for. Nothing to worry about, you’re free to go. Do consider popping in to see the best PC games on your way out, though. And why not come back soon? We promise we don’t try to arrest every reader.